Looking for reviews on some of the latest books about home, gardens, cooking, and more? Here are my reviews on some books that arrived in my mailbox during the month of February. Fascinated by weaving? Now you can do it yourself! This one covers all the basics of how to get started and how to become a super weaver! Designed for modern makers looking for a book that will continue to inspire them as their skill grows. Lindsey Campbell, the weaver behind the popular blog and brand HelloHydrangea, teaches more than 50 techniques plus 20 stylish projects for weavers of all skill levels. With 700 detailed photos, Campbell offers just the right blend of learning, encouragement, and great weaving results. An easy tutorial helps you to make your own loom that can be used to complete each project. Learn basic terms and skills for beginner weavers, such as warp and weft, and how to keep your sides straight. Merissa’s Thoughts —This full-color book actually helps me to not only understand weaving but how to do different patterns. My favorite thing about it is the step by step picture instructions and the illustrated guides to the patterns. 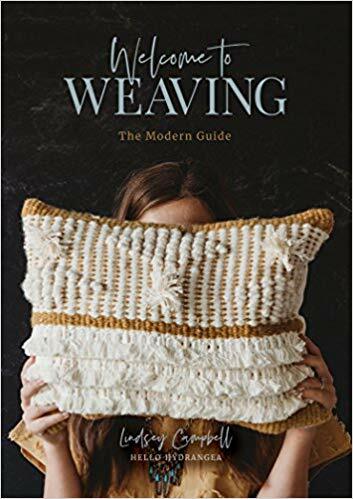 I’ve watched some videos of weaving in the past but this book makes it look so much more simple than I imagined it to be. Too often the world speaks words of harm, and too often we believe them–and so we live stories God never intended for us. Yet God longs to rewrite and redeem your story. Tiffini Kilgore, founder of the lifestyle and design boutique House of Belonging, grew up in a broken home before marrying at the tender age of sixteen. Years later, divorced and with three small children, she remarried. The seasons that followed brought two more children, another broken marriage, chronic disease, major surgeries, and cycles of abuse–leaving Tiffini feeling alone and unloved. Merissa’s Thoughts —If you are a fan of a good memoir, you will probably enjoy this book. You can follow Tiffani through her struggles of brokenness and feeling like she doesn’t belong, to a place where she finds healing through speaking to God. The story could be found to be encouraging for someone who is dealing with similar struggles in their life. The one thing that I didn’t particularly enjoy was the “words from Papa” that were not from the Bible. Overall, I found it to be a little too “spiritual” and not solidly Biblical for my tastes. With 100+ Keto recipes, you will never run out of delicious recipes, that are also healthy for you! Not only are these recipes delicious, but this diet also helps with so many illnesses! 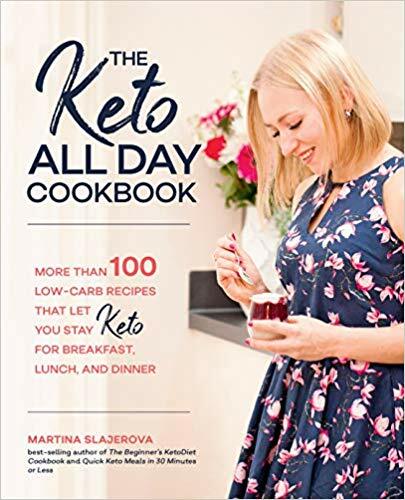 In The Keto All Day Cookbook, best-selling author and creator of the KetoDiet blog Martina Slajerova compiles her best recipes for every meal of the day (even snacks)—plus 17 new ones, accompanied by nearly 40 gorgeous new photos—to help you stay the keto course, deliciously! Merissa’s Thoughts — Lately, I’ve enjoyed looking at some Keto cookbooks. While we don’t follow a Keto diet, many of the recipes can fit our allergy needs. I found the cookbook to be nice and normal, with recipes that should please a family. The ingredients might be a little hard to find for a few of the recipes but that’s only because they fit the Keto diet. If you stay away from the recipes that call for fancy flours and things of that nature, most of the recipes contain ingredients you should easily be able to find at your local grocery store. I particularly enjoyed the last section in the book, the Condiment recipes. I found them to be nice and simple. Good basic recipes to have in any kitchen. If you are ready to dabble in herbs, but tired of buying them all at those expensive prices, this is the book for you! It covers how to grow and harvest herbs on a small scale, that is perfect for any homestead! When you’re a homesteader, you face many challenges: from a simple cold to an earache in your child, fleas on the dog, or worms in your goat. Medicines and treatments are never cheap and are often vague. Wouldn’t it be great to grow, forage, and create natural remedies yourself? 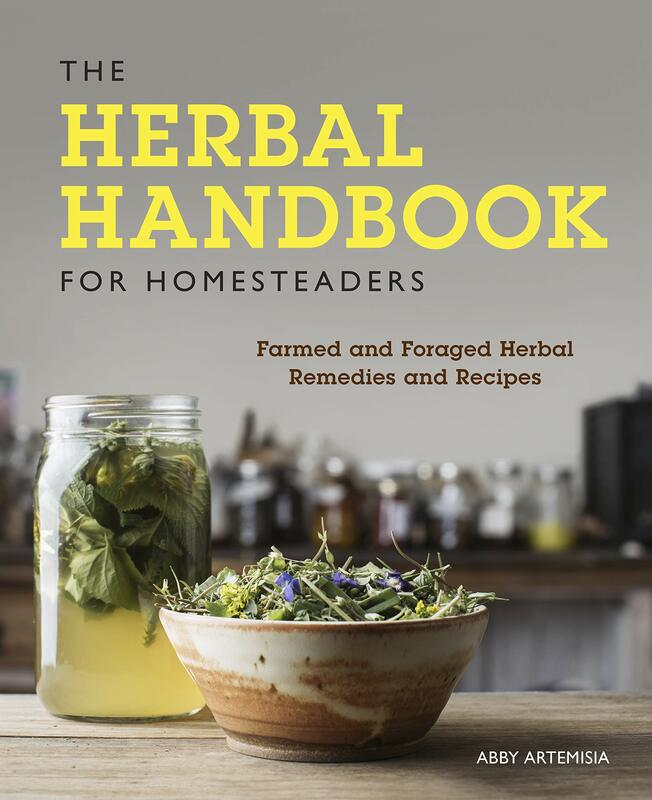 Look no further than The Herbal Handbook for Homesteaders! Merissa’s thoughts —This was one of my favorite books that I had the chance to review this month. The book was not only filled with how to grow and dry herbs but also with a lot of recipes to use them in. It talks about how to forage herbs from your lawn and then how to use them in everyday recipes, from teas to side dishes. I’m definitely going to try some of the salves first! My other favorite aspect of this book was the full-color pictures. Those of you that forage know how important it is to find the specific plants you are looking for and this book will help. This is one book I will be keeping on my shelf for a long time. Are you artistic?! 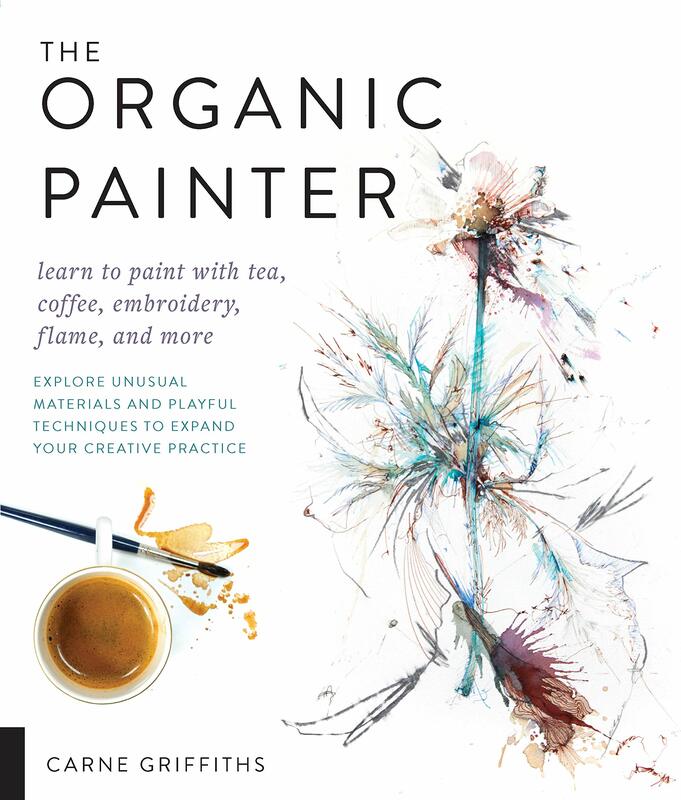 This book shows how you can paint with tea, coffee, embroidery and more. It’s truly amazing! Bored with the same old paints? The Organic Painter introduces innovative techniques for using non-traditional “paint” derived from materials like coffee, tea, and alcohol, to encourage freedom and expression! Merissa’s thoughts — Do you like to create art from unusual and creative sources? You will enjoy this book! The book shows how to make your own watercolor paints with tea. It also shows you how to integrate natural things into your watercolor paintings to give it more dimension. Things like boiling water, salt, flames, gravity, leaves, and more. I’m not a watercolor painter but it’s something that my husband enjoys and he found the book to be intruging. If you are looking to create lovely works of art and want ot use organic materials to create them with, I would recommend this book. Merissa’s thoughts —This is a fun, very large full-color cookbook that will help you to host any kind of party you could imagine. 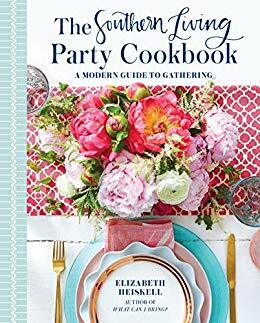 Each recipe is not divided into normal chapters such as “breads, mains, desserts” etc, but rather into specific party ideas such as “Gospel Brunch”, “Welcome Tea”, and “Fish Fry”. Each section shows a certain amount of people that the menu will serve along with a few details and ideas for the gathering. It’s then followed by 3 to 5 recipes, usually a beverage, an appetizer, and then some kind of featured dish. Some sections feature a few kinds of appetizers or add in a sweet treat as well. If you enjoy having gatherings at your home and entertaining others, this would be a fun book to keep on your shelf. 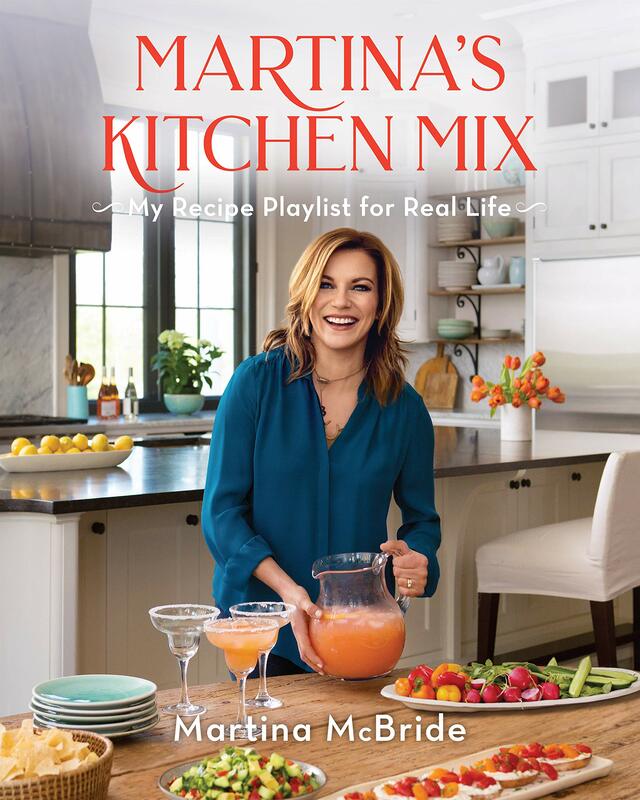 To country music icon Martina McBride, cooking and singing aren’t all that different. When she makes something delicious, she wants to share it, which is a lot like sharing her music with an audience. When she’s not on stage or in the studio, Martina is most likely experimenting in the kitchen and cooking with family and friends. Growing up on a farm in Kansas, Martina began helping her mother in the kitchen at an early age, preparing fresh-from-the-field ingredients. Meals and stories were shared daily around the table. It’s a tradition she continues with her own family as often as she can because real life is what’s worth celebrating. In this gorgeously photographed cookbook, readers will find more than 100 simple and satisfying recipes filled with fresh, seasonal ingredients and downhome flavor. 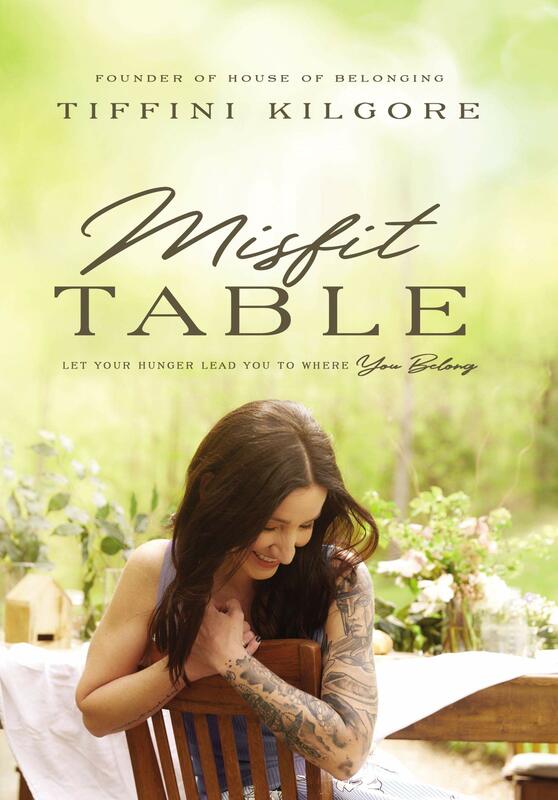 Merissa’s thoughts —This is another southern style cookbook featuring all of your favorite regular recipe categories from appetizers to desserts. I found the recipes to contain normal, everyday ingredients that I could get at my local grocery store but in general, most were a little too “involved” for my style of cooking. That’s not to say that some of the recipes weren’t tempting (like the Oatmeal Cookies!) and ones that we wouldn’t enjoy (I loved some of the ideas in the vegetable section!). One thing to note with this book is that it featured quite a few pictures of alcohol and quite a few recipes that also featured various types of alcoholic beverages. Most of the recipes could easily be skipped (the beverages) if that’s something you do not use in your home and there were only a few that used those products in actual food recipes. That being said, there are plenty of other good looking recipes in this book if you are looking for a new southern style recipe book. Merissa’s thoughts —This book follows the seasons of the year to share all kinds of information that anyone living a simple life should enjoy. 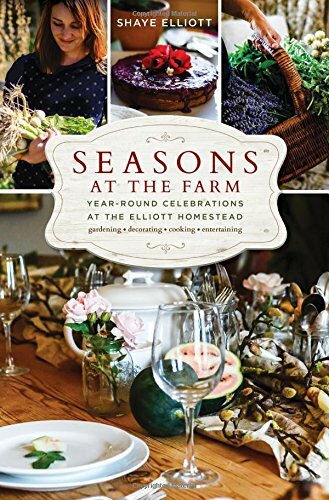 Each season features a few seasonal recipes, stories, and ideas and inspiration to enjoy each of the varying times of the year. I found it to be an enjoyable book to read through and I felt like if you enjoy reading Little House Living, you would enjoy reading this book as well. It’s always interesting to look into a snapshot of someone else’s life and get ideas from them and also to see how like or unlike your own life. I particularly enjoyed reading through this book in the winter as it reminded me of all the promise in the seasons to come. Merissa’s thoughts —As someone who crochets and hasn’t always had much of an interest in knitting, I have to say that I enjoyed looking through this book and it made me want to get a pair of knitting needles again and make cute things for my little ones! 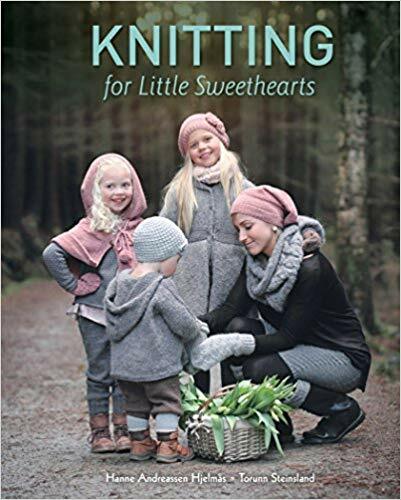 There are so many patterns and ideas included in this book so if you love to knit and have little ones in your life, you definitely need to check this book out. My favorite pattern was one of the more simple ones…the mittens for mother and child. How sweet to have a matching set of mittens! That would make such a sweet and unique gift idea. to one winner! Just fill out the Rafflecopter form below to be entered to win all of these books to add to your personal collection. Good luck! What a great collection of books! 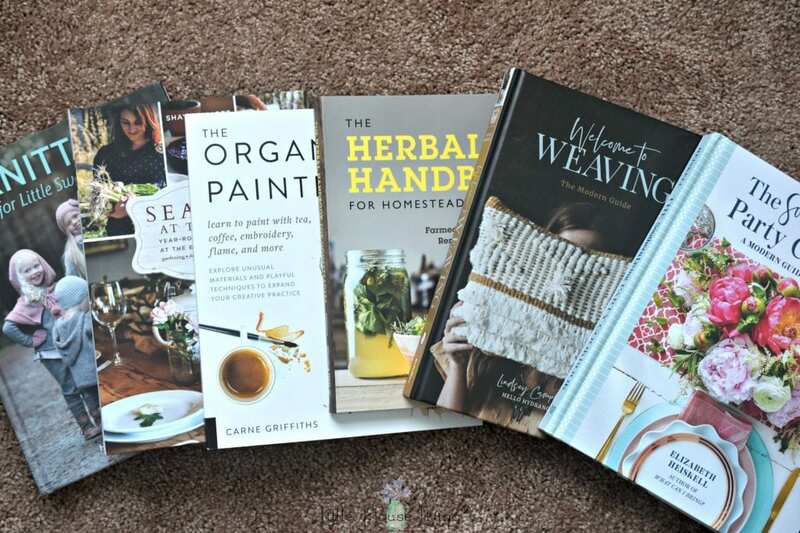 I would probably read Martina’s cookbook first then the weaving book. The Southern Living Party peeks my interest. I like to entertain and am always looking for new ideas. I’ve had my eye on a few of these books. Thanks for the review! It really helps make the decision of which to add to my collection first! I think I’m going with Seasons on the Farm. Knitting for little sweethearts and the herbal handbook! I’d love to read them all but the 2 that catch my eye the most is, The Herbal handbook and Knitting for little sweethearts. Looks like a well rounded selection!! Cold rain here in the South. Reading weather!!! I think I would read Seasons at The Farm first but I really want to try knitting and weaving also! These all look like a fun read especially the herbal book. I would love to read the knitting book! I would read seasons on the farm first. I love any books dealing with farming or homesteading. I would first read ‘The Organic Painter’! Being an artist and a great lover of books, they would all become household friends in no time. I’d probably read the book on herbal remedies first, and then the weaving book. Thank you for the opportunity to win! I have not read any of those books. I would start with Knitting for Little Sweethearts. I love to crochet and to knit. What a great collection of books. I am looking forward to checking out a few of them. I am really looking forward to checking out these books. I am especially interested in the books on herbs, weaving, knitting and painting. But they all sound great! Thanks for the review. Welcome to weaving. I have wanted to learn how to do this. The book sounds like it would be great to learn with. I would love to read the Southern Living Party Cookbook. I love the magazine and can imagine this being a wonderful resource! I would read “Seasons on the Farm” first. 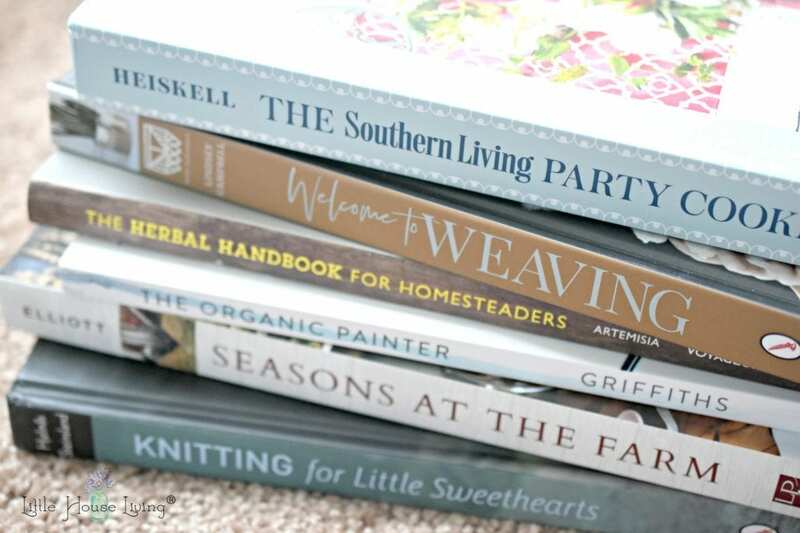 All of the books look so good but the Knitting for Little Sweethearts and Herbal for Homesteaders books appeal to me most! a lot of great books here! Thank you for offering such a great giveaway and a wonderful selection of books! I would probably read the painting one or the herb one first. I do a lot or painting so that one is of huge interest to me and I use lots of herbs in cooking and feed them to our birds. I also love to weave. I also do Native American beading so the weaving books would be great additions to that. Its so hard to pick which one i would read first but I love knitting with my girls so that would probably be it!! Thanks so much for this awesome giveaway!! I would love the Herbal Handbook! I would read the herbals handbook first. I’m really into that lately. But would love to read them all! I love a good giveaway of books I could actually use! I would read Seasons on the Farm first. The herbal and weaving books seem particularly appealing right now! The herbal book intrigued me! I think that would be the first I’d pick up. The weaving book or the one on herbs are the most interesting to me. I love to read though and am happy to learn new things all the time. Hoping to learn how to can some things from the garden this year. I would read the Herbal Handbook first. These books look and sound wonderful! I’m not sure how I would determine which one to pick up and read first. Close my eyes and grab, maybe? I think I would start looking at the herb book first, some really great choices! I would read Knitting for Little Sweethearts first! Oh there are several books in there I would love – and know others who would love the ones I wouldn’t use 🙂 Thank you for the opportunity!